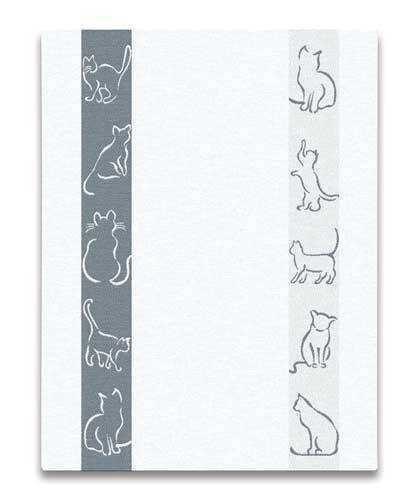 This luxurious kitchen towel has whimsical cat designs woven int o the fabric. Towel is 50% cotton/50% linen, measure approximately 20 inches by 28. inches Machine washable. Service Area: New Glarus, Madison, Rockford, Machesney Park, Middleton, Whitewater, Roscoe, Monroe, Platteville, Waunakee, De Forest and surrounding communities.